If you need to charter a private jet flight to Honolulu, Hawaii Charter Flight Group can take care of you. With dozens of suitable private charter jets that can handle the long-distance between Honolulu and any mainland in the world, CFG is pleased to serve all your private charter needs. This ensures that not only do these aircraft exceed all FAA requirements, but more importantly, our private charter clients arrive safe and well-rested at their destination. Indeed, if you are planning such a trip, you need a jet that can fly at a minimum 2500 miles, which is the distance between LA and Honolulu. Of course, if traveling from International locations west of Honolulu, perhaps you can make do with something smaller and if that is the case, CFG is happy to help you find just the right private air jet and just the right journey. Island hopping from Asia? CFG can do it. However, most travelers will be taking flight from areas such as Japan, the United States, or Australia and for these, we can provide a vast array of suitable mid-size, large, and jumbo private charter jets. For example if your private jet is scheduled to fly from the Continental U.S., on the low end you could select the Hawker 900XP or the Hawker 4000. Or perhaps you would prefer something a tad larger. Then the Gulfstream G200 Jet or the Embraer Legacy would be a better match. With a range of 3700 miles and incredible amenities, the Embraer Legacy is often the private aircraft of choice for long flights, such as to Honolulu, Hawaii. All of our private jets are maintained in pristine condition, with safety checks performed regularly by both ARG/US and Wyvern. When you charter your private jet with CFG’ knowledgeable flying consultants, be sure to discuss not only options in aircraft, but also the possibility of empty legs, one-ways, and on-demand flights. Sometimes, getting flights on-demand out of Honolulu can be difficult, but Charter Flight Group is here to help. With over 30 years in the private jet charter business, CFG has grown an enormous selection of aircraft from which to serve our clients worldwide. CFG can do what few other carriers can do.Of course, in during your trip, our professional and attentive flight attendants will see to your every need and our superb flight engineers will see to it that your private jet flight is as smooth as possible. Upon landing in Honolulu, you will find the airport conveniently located right alongside U.S. Interstate H1, just to the northwest of Honolulu, Hawai. Honolulu International caters to private jet flights from around the world and the airport has all the amenities one would expect and then some. It is kind of like Honolulu itself. A city built on ancient Polynesian customs, Honolulu, Hawaii has lost neither its hospitality nor charm. 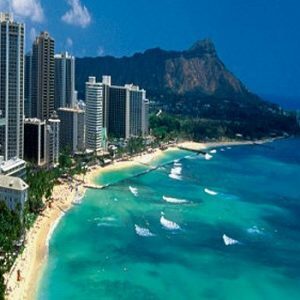 The city has much to offer those taking a private charter jet flight to Honolulu for vacation; besides the amazing beaches and copious amounts of sunscreen used in the city each year Honolulu provides some of the finest cuisine anywhere. Besides the well-known Arizona Memorial in beautiful Pear Harbor, there are numerous other historic sites, museums for young and old, water sports activities, lush jungle gardens, waterfalls, concerts, luaus, and the list could continue to infinity.However, for the business traveler, naturally, tourism is the major industry, with nearly $10 billion in contributions to the city’s GMP. 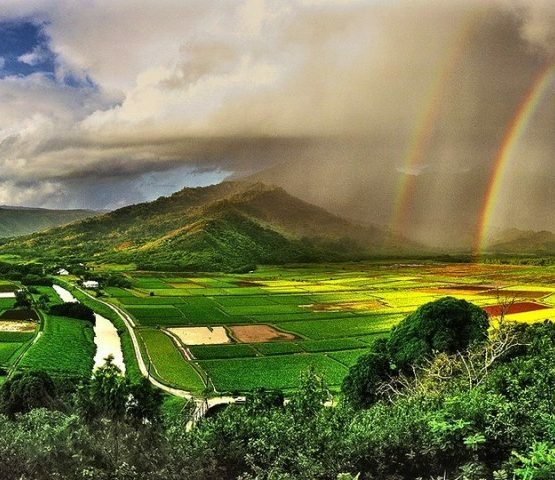 However, there is more to Honolulu than vacationers. Because it is a port city situated along the major trade routes developed centuries ago, Honolulu has grown to be a major trade and business hub for the entire south Pacific region. As a result, the city has developed a sizeable manufacturing base, military operations, and research and development. Why Choose Charter Flight Group for Your Private Jet Flight to Honolulu? Although there are numerous companies that provide private charter jets, few have the available selection and variety of Charter Flight Group. In addition, CFG ensures that all private charter clients are treated with dignity and respect, earning them the best recommendations and referrals in the business. We know that once you have flown with us, you will never take another charter jet flight again. We are just waiting for you to find that out as well. In fact, we are waiting 24/7 for your call.